As with the real world, the true situation is more complex and messy than is presented here. To see the full details of the history of this world consult the Gurkani Âlam Timeline and the rest of this web site. Events in this world begin to diverge from those of the real world in 1644, when Jahanara Begum, the eldest daughter of Mughal Emperor Shah Jehan, attends an uneventful garden party in the city of Agra. In the real world Jahanara Begum's clothing was accidentally set on fire at this garden party, injuring her quite badly, but here this does not happen. With his sister uninjured, her brother, Prince Aurangzeb, the third son of Shah Jehan, does not incur the wrath of his father by returning to Agra three weeks after the event instead of immediately upon hearing of it. Because of this he is sent to Afghanistan some two years before he was in the real world, and dies there while imprudently praying in the midst of a battle [he did this in the real world too, but with two years more experience, perhaps more prudently]. Without Aurangzeb the struggle over who will follow Shah Jehan to the throne turns out very differently, with his favoured choice, his oldest son Dara Shikoh, defeating his brothers and taking the Mughal throne for himself as the Emperor Shah Buland Iqbal. 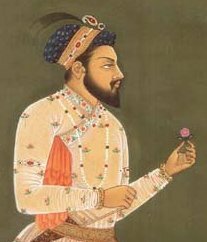 Unlike Aurangzeb in the real world, he continues the Mughal tradition of religious tolerance, and does not exhaust the Empire with decades of war. Although not entirely peaceful, with, for example, the Mughal Empire conquering Samarkand in 1678, his reign sees the Mughal Empire remain rich and a magnet for Europeans seeking fame and fortune. At the same time a more peaceful India, but one in which the Mughal Empire is still a potential threat, allows the states of South India to form the Kanyakumari Pact, a defensive alliance against possible Mughal aggression. Over time this pact grows into a unified federal government, the Kanyakumari Federation, which forms a second Indian power. In England, Catherine of Braganza, the queen consort of King Charles II, gives birth to a son, also named Charles, but dies in childbirth. Because he is a widower but has a surviving legitimate heir, Charles II does not convert to Catholicism on his deathbed, his Catholic brother does not become King James II of Britain, and there is no Glorious Revolution as there was in the real world. Instead, his son, as King Charles III, carries the Stuart Dynasty into the eighteenth century. In Russia, Patriarch Nikon of the Russian Orthodox Church puts into place a number of reforms of Church practises, alienating a significant minority of worshippers, who become known as Old Believers [as in the real world]. In the early eighteenth century Tsar Peter the Great works to modernise Russia and open it to the west [again as in the real world]. Because of the lack of Aurangzeb, and thus the lack of martyrdom of Guru Teg Bahadur, Sikhism militarises later than in the real world and Sikh ideas of the equality of all men have informed the Mughal government for many years, contributing to its increased tolerance and equal rights. Via its Gurdwara system, Sikhism forms the basis of the comprehensive social welfare system of the Mughal Empire. There have been clashes between Hindu and Sikhs in India over the Sikhs attempts to eliminate the caste system, which have, over time, fallen largely against the Hindus, causing the caste system to gradually come to have less and less influence. In France, a visit by Sultan Sipir Shikoh, the son of Emperor Shah Buland Iqbal, indirectly causes the Edict of Nantes to not be revoked. Thus many French protestants remain in France [unlike the case in the real world]. With the Edict of Nantes still in place France is not deprived of many of its most skilled and industrious individuals, who do not go to aid France's rivals as they did in the real world. France is also viewed in a less hostile light by its protestant neighbours. With a richer India and a more tolerant Mughal Empire, Europeans continue to find fortune there. European ideas on economics, military matters and governance find their way into the workings of the governments of India, providing at least partial alleviation of the political and economic problems of the subcontinent. Rules on the Mughal succession help to eliminate the problems that have, in the past, plagued the Mughal Empire on the death of its rulers. A rich and vibrant India and increased contact between the Indian and European peoples causes science to advance much faster, triggering an industrial revolution roughly a generation earlier than in the real world. In particular, electricity begins to be understood and harnessed perhaps a hundred years earlier than in the real world, greatly reducing the dominance of fossil fuels over world energy supplies. As part of this the first powered havajahaz [airship] flies in 1832. The first vimana [heavier than air flying machine] flies in 1878. Tropical medicine is also more advanced than in the real world, with malaria being eliminated from the world in 1984. Another effect of this is that Indian merchants establish trading posts around the Indian Ocean including in Marege [Australia] and along the African coast, leading to intermittent clashes with European traders. Over time these Indian trading posts develop into colonies, as do their European equivalents. By playing the Europeans and Indians against one another the Ashantee and Xhosa people are able to grow into significant local powers and retain their independence. The War of the Spanish Succession occurs in much the same way and for much the same reasons as it did in the real world. One difference is that England takes control of parts of South America. However, the War of the Austrian Succession does not occur as Charles VI, the Holy Roman Emperor, has a son, Leopold Christopher, who replaces the daughter, Maria Theresa, he had in the real world. This has significant impacts across Europe and beyond. Persian warlord Nadir Shah topples the Persian Emperor and takes the Persian throne for himself. [This is not exactly how things occurred in the real world, but is quite close to it.] Unlike the real world he does not have a weak and feeble Mughal Empire to pillage and instead attacks the Ottoman Empire, with a much less devastating effect. Because of this the Mughal Peacock Throne remains in Delhi. India prospers but continues to be a net exporter, leading to European money flowing into India but little Indian money flowing out. The European trading companies work to reverse this flow. The increasingly desperate measures they undertake to do this trigger the Factory War, in which, over time, and with a great deal of disruption, the European trading companies, such as the British East India Company, are forced out of India and indeed out of Asia as a whole. This has the effect of forcing European merchants and explorers to seek their fortunes elsewhere in the world. As a side-effect of India remaining strong and prosperous, numerous of its neighbouring nations around the Indian Ocean also remain or become more prosperous over time, including the Ottoman Empire, Imamate of Oman, Ayutthaya and Dai Ngu. At about the same time the untimely death of the heir to the British throne triggers a succession crisis, as the next in line to the throne is Henrietta, the daughter of Charles III, who is married to Prince Philippe of France. Both of whom are Catholics and who have a Catholic son. The British Parliament and people are in general very unhappy at the possibility that a French Catholic is first in line for the British throne. Wanting a Protestant to take the throne, Parliament sends representatives to the second-best candidate (in a purely legal sense), Catherine, Protestant granddaughter of James, the Duke of York, and her husband Prince Frederick of Denmark, the second son of King Frederick IV of Denmark and a member of the Danish House of Oldenburg, and offer them the throne instead. The succession crisis soon becomes violent and degenerates into a civil war, which soon becomes known as the War of the English Succession. After several years this ends with the division of Britain. Henrietta and Philippe take control of an independent Scotland supported by France where the Stuart dynasty continues to reign, while the rest of Britain comes under the control of Catherine and Frederick under the English Oldenburg dynasty. Over time the thrones of England and Denmark come into Personal Union, a course of events that leads to a merging of the two nations into the core of the Anglo-Danish Empire. While studying the Russian Orthodox faith Bahadur Nadeem Iqbal, a Mughal traveller in Russia, discovers that the rites that were rejected and condemned by the Nikonian reforms were genuine customs of the Orthodox Church, whereas those which replaced them, based on Greek usage, had been altered over time. This is exactly the reverse of the justification used by Nikon for his reforms. When this is published, despite attempts to ban it by the Russian government, it leads to a resurgence in the Russian Old Believers movement, eventually leading to a Russian Revolution in 1759 which overthrows the Russian government and installs a theocratic Old Believer (here known as Raskolniki) government, who rename the country the Holy Russian Empire. With the Mughal Empire expanding into Central Asia from the south and Russia expanding into it from the north, an equivalent of the Great Game develops between them. As part of this many of the Central Asian khanates become buffer states between the two empires, and Russia looks further east for space into which to expand. A number of wars between the Mughal Empire and Dakshina Nad during the eighteenth century stabilise their borders and establish a modus vivendi between them. At the same time the Mughal Empire expands northwards, taking control of Nepal, Tibet and Bhutan. With increased trade between India and Europe, a Suez Canal following the route of the ancient Suez Canal, linking the River Nile with the Red Sea is constructed, opening in 1766. With this more and more Europeans return from India to Europe to retire or live. Their riches and strange Indian ways generate hostility, leading to religious violence across Europe in what becomes known as the Second Wars of Religion. Out of this grows the atheistic Freethinker movement, which takes over the Netherlands and other nations, doing its best to eliminate religion from the state and, sometimes, the world. This also triggers a revolution in France in which the King is exiled and a new dictatorial regime put in place, eventually leading the French King to take over the colony of Canada, which splits from France as the Kingdom of Canada. In France conditions worsen and a second revolution installs a truly democratic regime known as the Estates-Universel [Universal Estate] while the French dictator flees to Louisiana. With his death Canada takes control of Louisiana. The Spanish colonies of California and Texas split from Mexico during this time and eventually merge into one state stretching across southern North America. The Raskolniki government in Russia, embracing traditional values and old traditions while also eliminating serfdom in Russia and being critical of innovations, soon allows the Holy Russian Empire to begin lagging behind the rest of the world technologically and militarily. Taking advantage of this many of Russia's neighbours invade, taking control of significant areas of Russia in the War of Russian Humiliation. This drives a change of government in Russia, with the original leaders of the revolution being replaced by a more pragmatic group. These new leaders create a new regime which embraces modern technology when it is used in the defence of the Russian Orthodox Church, but which continues to reject it otherwise. With this, Russian is able to retake the territory it lost in the course of two Wars of Reclamation. As the Holy Russian Empire expands eastwards increased contact with China leads to more Russian Orthodox missionary work there and eventually triggers the Zhengjiaotu Rebellion in which Chinese Russian Orthodox Christians, allied with other groups who have grievances against the Manchu Emperors of China, rise up and attempt to overthrow the Chinese government. Only after more than twenty years does the rebellion finally end, defeated with the help of Russian forces. In payment for Russian help, Russia gains great influence in China and opens two-way trade with the Holy Russian Empire. Russian 'military advisors' remain in China, ostensibly to train the Chinese military in modern techniques and prevent a recurrence of the Zhengjiaotu Rebellion. In 1834 the defensive alliance against the Holy Russian Empire known as the Sarajevo Pact is formed by the governments of Poland, Austria, Bohemia, Bulgaria, Serbia, the Ukraine and Romania-Moldova, with its headquarters in the Serbian capital city of Sarajevo. Bulgaria leaves the Pact in 1839 when it is taken over by pro-Russian forces and becomes a Russian satellite state. The militaries of the seven surviving original states unify in 1842, and the Pact merges into a single unified government in 1969. After a prolonged refusal to admit Russian Orthodox Missionaries the Holy Russian Empire invades Yapon [Japan] in 1844, quickly taking the country over. Almost the entire Yaponese Samurai class is exterminated in this invasion. In 1894, with 'permission' from the Holy Chinese Empire the Holy Russian Empire also takes control of the Chinese tributary state of Joseon [Korea]. In 1848 Chinese Emperor Xianfeng converts to Russian Orthodox Christianity. Rumours of his being coerced into this, and that he has lost the Mandate of Heaven, begin. Massive uprisings occurs across China under rebel General Huang Zuoyi. These grow into a Chinese Civil War begins which lasts for twenty-one years and leads to in China being divided into two countries, a Russian Orthodox Manchu China in the north, the Holy Chinese Empire, and a traditionally Chinese Ling China backed the Indian and South East Asian nations in the south. The Civil War also breaks down the barriers between southern China and the rest of the world and spurs a Chinese Diaspora. After a number of inter-religious Councils of Rome, brokered by the Pope, in 1850 a number of world governments form of a secular organisation, the Oikoumene Council, to allow discussion and negotiations between nations in a peaceful manner. [This is equivalent to a much earlier United Nations.] As time passes the world polarises into the Dharmic (religiously tolerant) and One Truth (religiously intolerant) blocs. A second Suez Canal directly linking the Mediterranean and Red Seas [much as the one in the real world does] is opened in 1852. An Ayutthayan canal across the Isthmus of Kra (the narrowest part of the Malay Peninsula) opens in 1877. In 1895 the Anglo-Danish government opens the Nicaragua Canal, linking the Atlantic and Pacific oceans. A Prussian Freethinker regime attempts to take control of Europe in the 1860s but succeeds only in taking control of the Netherlands and one of its colonies. Its other colonies become independent nations in southern Africa and Marege. A Russian-backed Persian war against the Ottoman Empire leads, indirectly, to the Holy Russian Empire taking control of Anatolia. In response to this a new regime under a new political system known as Sophocracy is installed in the Ottoman Empire. The first four decades of the twentieth century are relatively peaceful, marred only by a few minor wars in different parts of the world. Science and technology continue to advance and it appears that perhaps the world is moving towards, if not a Golden Age, at least an age of peace and plenty for all. The first person successfully orbits the Earth in 1935, the first space station is launched in 1942 and the first people land on the Moon in 1944. All of this is done by the Dakshina Nad. Then in 1942 the Mughal Empire detonates the first atomic bomb in Yakharazi [Mughal Antarctica]. The Holy Russian Empire panics. In an attempt to destroy the Mughal nuclear programme and grab its technology for themselves they cause the world's first nuclear accident, contaminating significant areas of northern India with radioactivity. They do gain the technology for themselves, but also do not entirely destroy the Mughal project. And the web of alliances around the world causes most of the nations of the world to very quickly become involved in the first truly global war of this world, between the Dharmic and One Truth blocs. Initially because of the desire of the Mughal Empire to have revenge on the Holy Russian Empire, and later because of the intransigence of the leadership of the Holy Russian Empire, the war drags on for some fifty years and kills some ninety million people. Although a full-scale nuclear holocaust is avoided, significant numbers of nuclear weapons are used, along with biological weapons tailored not against people but against crops and plastics. In the course of the Long War space technology advances significantly, but also Earths orbit becomes a far more hostile environment due to the activities of the Holy Russian Empire, which seeds near-Earth space and geosynchronous orbit with billions of projectiles - space junk - in all kinds of orbits, which renders them unusable in the long term. Because of this space activity is forced to move further and further from Earth. The Long War passes through several periods of stalemates until a group of Holy Russian politicians and military officers turn against their own government and, in order to save their country, destroy Russia's nuclear weapons capability. This allows the Lunar magnetic accelerator known as the Qamari Mosht to be used to bombard the Holy Russian Empire into submission and a change of government. With the arrival of peace the world is slowly recovering from the effects of the Long War, with the Mughal Empire and Dakshina Nad retaining control of space, and of the Qamari Mosht lunar accelerator. The heartlands of the Indian Alliance have survived the Long War relatively untouched, as have East Africa, most of North America, Marege and Oceania. The rest of the world has suffered varying degrees of damage from the war, with Central Asia, Persia and the Sarajevo Pact having suffered some of the worst.